Cell, 2017, 171(4):824-835.e18. Trichostatin A (TSA) purchased from Selleck. Effect of TSA, SAHA and silibinin alone and in combination on left panel: IF staining for p-histone H3 Ser 10 and p-MPM-2 Ser /Thr positive cells and a-tubulin for mitotic spindle and DAPI as nuclear stain in H1299 cells. Right panel: % positive p-histone H3 Ser 10 mitotic cells and expression of p-MPM-2 Ser /Thr protein levels in H1299 cells. Epigenetics 2012 7(10):1161-72. Trichostatin A (TSA) purchased from Selleck. HCT116 p53 null cells were treated with different HDACIs (1 μM TSA, 5 μM M344, 1 μM MS-275, 5 mM But, 10 mM VPA) for 24 h, and their expression of GRP78, PERK-eIF2α axis and ATF4, ATF3, CHOP and DR5 proteins. Biochem Biophys Res Commun 2014 10.1016/j.bbrc.2014.01.184. Trichostatin A (TSA) purchased from Selleck. (B) The mRNA level of PRRT2 in the presence of different concentrations of DAC and TSA. Biochem Biophys Res Commun, 2017, 485(2):454-460. Trichostatin A (TSA) purchased from Selleck. Western blot analysis of Acetyl-H3 and H3. 0-20μM TSA was added. 2010 Dr. Zhang of Tianjin Medical University. Trichostatin A (TSA) purchased from Selleck. Vigushin DM, et al. 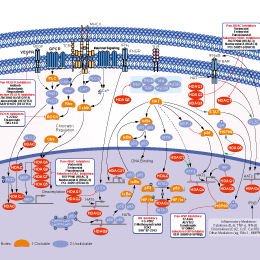 Clin Cancer Res, 2001, 7(4), 971-976. Furumai R, et al. Proc Natl Acad Sci U S A, 2001, 98(1), 87-92. Kim MS, et al. Cancer Res, 2003, 63(21), 7291-7300. Huang W, et al. J Biol Chem, 2005, 280(11), 10047-10054. Avila AM, et al. J Clin Invest, 2007, 117(3), 659-671. I would like to obtain the enantiomers of TSA, as separate chemicals: R-TSA and S-TSA. Do you have any ideas? 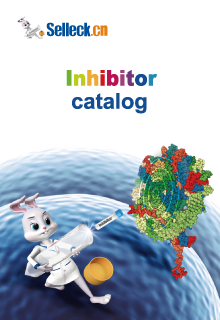 Our S1045 Trichostatin A (TSA) is R enantiomer.